Alleviate these aggravations with the Hose House from Trademark Home Collection™. 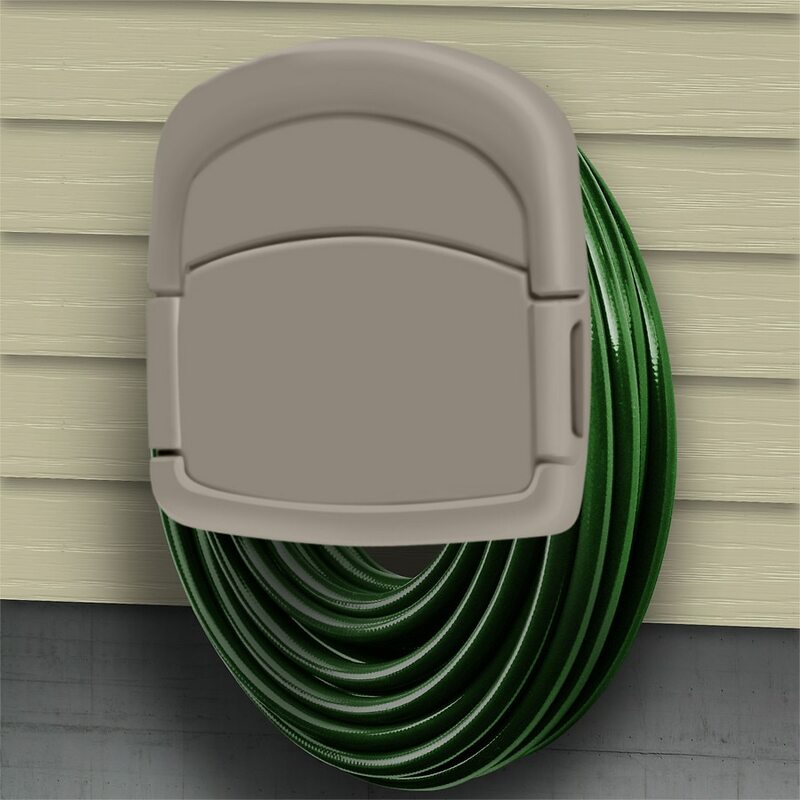 Easily store up to 150 feet of 5/8 inch hose on this wall mounted unit. Additional storage space for hose nozzles and other garden and lawn tools is available behind a hinged door on the front of the unit. Put your water hose in its place with the Hose House from Trademark Home Collection! Storage Space: 4.625" x 10.5" x 6.5"
Exterior: 5.75" x 14" x 12.5"